To help celebrate International Women’s Day our Business Management, Marketing Management and Law students were invited to hear from Business graduate, Zoe Ashford. Zoe graduated from Brighton Business School in 2003 and has since gained over 12 years’ experience from senior digital marketing positions within the Arcadia Group, Debenhams, John Lewis and more recently as the E-commerce Marketing Director for fashion brand Lipsy. In 2015, Zoe was Highly Commended by Marketing Magazine, as part of their Top 10 Digital Maverick campaign to celebrate the most innovative women in digital marketing in 2015. 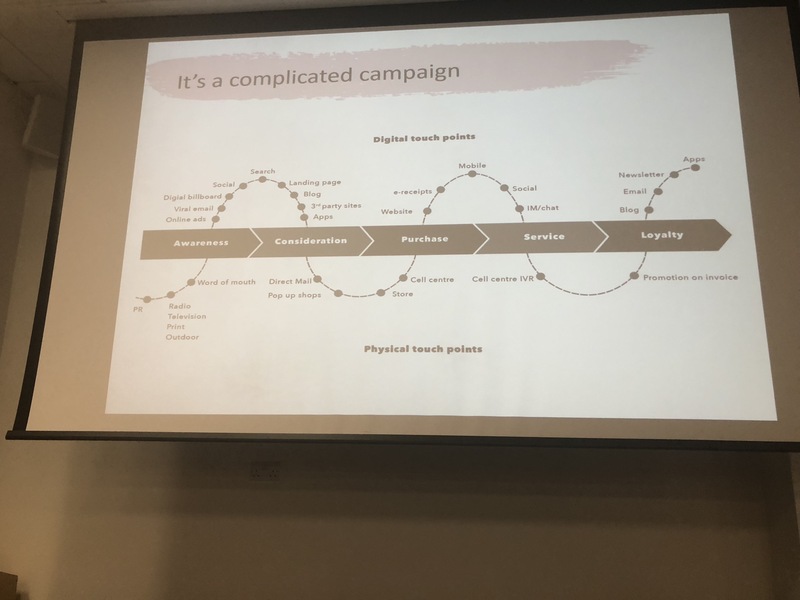 Zoe’s guest lecture took students through her career journey, the lessons learnt, and the latest digital marketing techniques being used, and looked at, by fashion houses in the eternal search for greater market share and continued customer loyalty. Tagged alumni, Careers, digital marketing, Industry, innovation, Marketing. Bookmark the permalink.